This piece is an early example of the Standard Silver issue of pattern coinage, the most extensive series of pattern coins produced by the Mint. 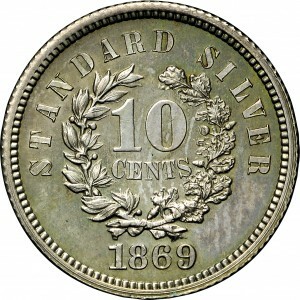 Numerous types exist among all the denominations from dime to half dollar. 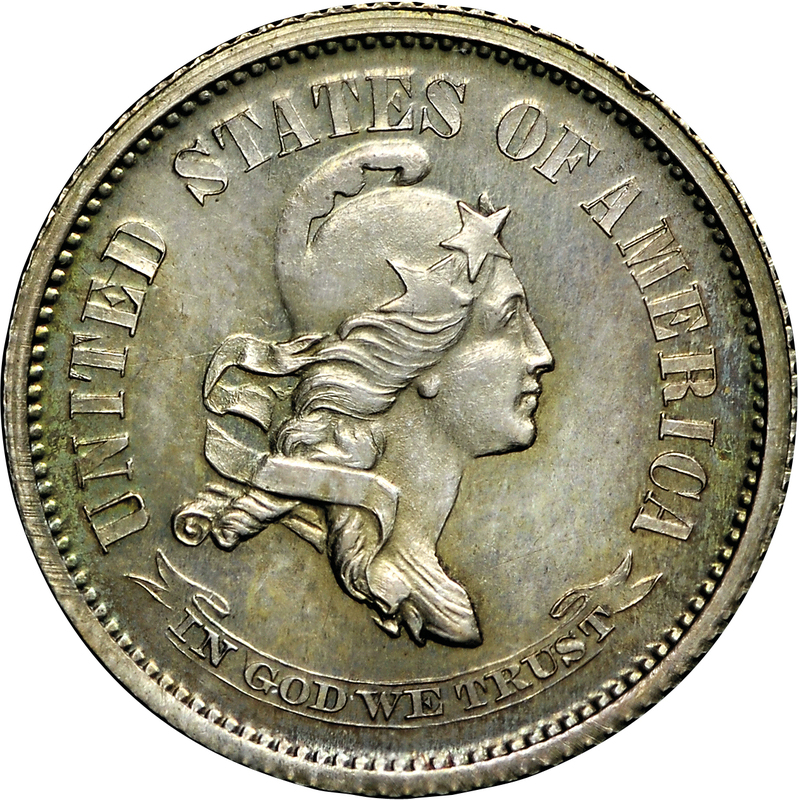 The basic design premise was simple: the obverse included a head of Liberty, wearing a cap, facing to the viewer’s right. The statutory legend was around, with a scroll bearing the motto IN GOD WE TRUST below. The reverse had a wreath enclosing the denomination with the date below and inscription STANDARD SILVER (or simply STANDARD) around. From Stack's ANA Sale of August 1971, Lot 388. Head of Liberty to right, wearing Phrygian cap, two stars on cap, hair flowing at neck, ribbons at neck as well, UNITED STATES OF AMERICA around, IN GOD WE TRUST on scroll below. 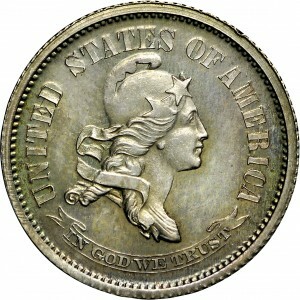 Oak and laurel wreath with 10 CENTS in two lines at center, STANDARD SILVER around wreath, date below.